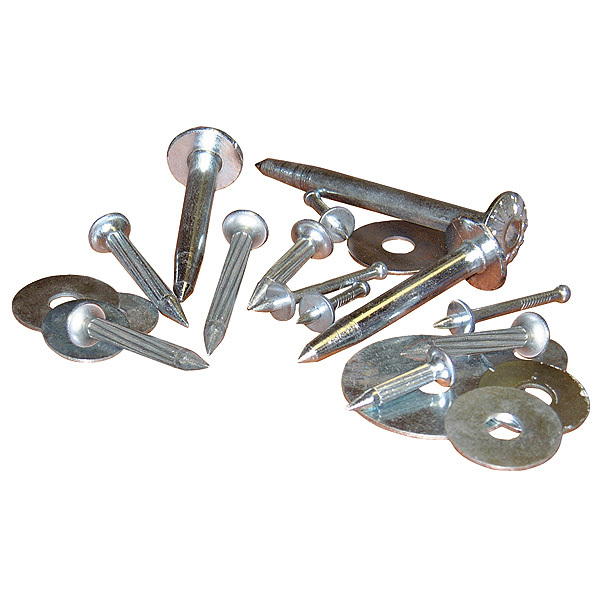 Allows you to sample our range of marking nails and washers. Also makes a handy universal kit allowing you to have the right type of marking nail to suit a variety of surfaces. 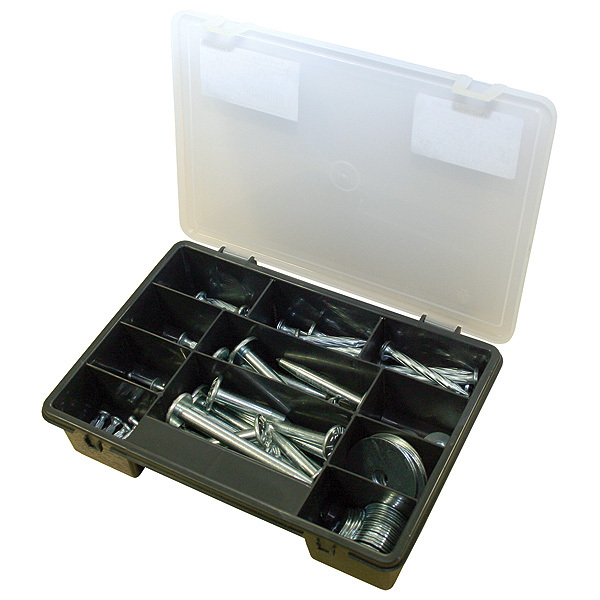 The 100 piece kit comprises the full range of nails available with supporting washers. All in a compartmented box with a hinged lid. Club Hammer and Goggles supplied separately.